- Fierce V-Slasher has different angle; weak travels short, fierce goes far. EX version is the same as the arcade. First and foremost, Leona is a charge motion based character. This alone begins to differentiate Leona amongst the rest of the cast (aside from Ash). Without a typical anti-air, projectile, etc., Leona must resort to other means of offense, while still being able to maintain a solid defense thanks to her inherent charge nature. With the exception of her Earring Explosive, Leona only has close range moves which means two things: she's poor at zoning, but excels at close range. Though her pokes have been toned down from previous years (very minimally), they're still great setups for Moon Slashers/combos and breathing room. Luckily, her aerial dominance has not changed. V-slasher is still, by a large margin, the best air-to-air/air-to-ground super in the game. It retains its near invincible properties, and you'd be hard pressed to find something in the game that would outprioritize it (if any). It will virtually shut down the opponent's air movement and projectile game if used properly. 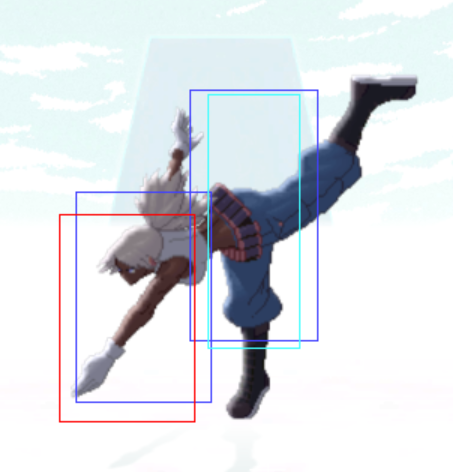 Her j.B and j.D are great tools in a midair battle, and her j.C has a massive hitbox for ambiguous crossups. Though Leona has many tools at her disposal, she still has her share of downfalls. Being a charge based character, Leona lacks any real anti-air options on the fly aside from her s.D (c.C is difficult to use as an anti-air). Arguably, Leona's specials are terrible outside of combos (aside from Moon Slasher). She has nothing outright abuseable, lest she risk getting punished for it, and as aforementioned, most demand charging motions. This also causes difficulties in mastering Leona's drive cancels/HD combos, requiring shortcuts and quickly storing charge motions. Though not impossible, it is quite different when compared to a majority of the cast. Some may find the execution barrier to be discouraging, though when mastered, unlocks Leona's highest damage potential. That being said, your main priorities will be to stay out of the corner, and to pressure your opponent into one using throws, high/low mixups (via crouch pokes, Strike Arch, and hopped normals) and CD attacks. Once in the corner, you'll be able to pressure the opponent with pokes and confirm combos for big damage. Unless running down the clock, Leona NEVER wants to be in the open and at a distance, unless resetting to neutral to restart her offense. Again, you don't want to be playing defense, as you wont have many options at your disposal outside of a GCCD/GC rolls, Moon Slashers, or instant V-Slashers (which is, more often than not, a big gamble unless they're jumping towards you). As far as team composition, Leona can fit in well either as battery or anchor. She can be played well with or without meter, though she definitely shines when she has EX Moon Slashers/V-slashers/drive meter at her disposal. Her instant overheads are hop A and jump D. Both of these are unsafe on block but Leona has many ways to force the opponent to guess between low/high. 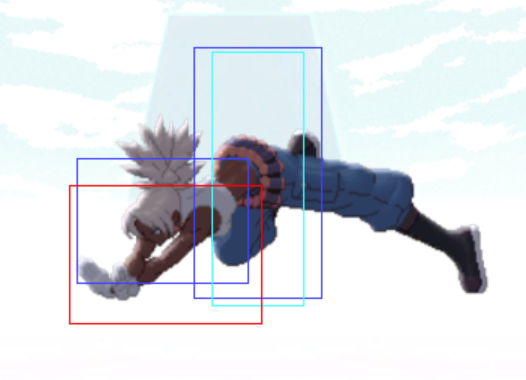 Her frames on her normals are quite good... cr.B and s.A can be used to pressure the opponent really well since they are +2 and +3 on block. Moon Slasher: Probably the most notable and user friendly specials in Leona's arsenal. While quick to come out and decent priority, on block this move suffers from terrible recovery. Not to be used for pressure, as a whiffed or blocked Moon Slasher is punishable with disastrous results. This move is often used as a defensive measure, typically on wakeup to counter pressure. However, an experienced opponent will often try to bait a Moon Slasher knowing Leona's vulnerability afterwards. Although Moon Slasher can also be used as an anti-air, the timing can be rather strict and, being a charge move, it cannot be performed on impulse. Moon Slasher is best used to end combos after quick pokes if there is not enough meter for a super. Earring Bomb: At first glance, you would think that Leona's Earring Bomb has too much startup time to be useful enough for gameplay. Fortunately, on an opponent's wakeup, this weakness is removed. After knocking down the opponent, an immediately thrown Earring Bomb forces the opponent to make a decision: block low, jump, or roll. While blocking low, Leona can run up to the opponent and Strike Arc for a knockdown, one of the most favorable positions for a Leona player. On jump, Leona gets a free V-slasher. On a roll, Leona can either throw the rolling opponent, or wait for the vulnerability frames at the end of the roll to combo into a super. In the rare case that the Earring Bomb does connect, it may be followed by a well timed V-Slasher or Slash Sabre. NEVER attempt to use this on a close or standing opponent. With such a long startup, it is easily avoided (possibly ducked) and even a slow reacting opponent can and will punish you. Predictability is a key factor. As a projectile with long startup, it is prone to being countered by EX moves/supers which bypass traditional projectiles. X-Caliber: This move is exclusively meant for combos; however, the EX version is great to use in pressure strings as it forces block stun and can allow Leona to mix-up a low/overhead. Any other use will likely result in getting punished due to its recovery properties. While miscreen, only the A version will combo. 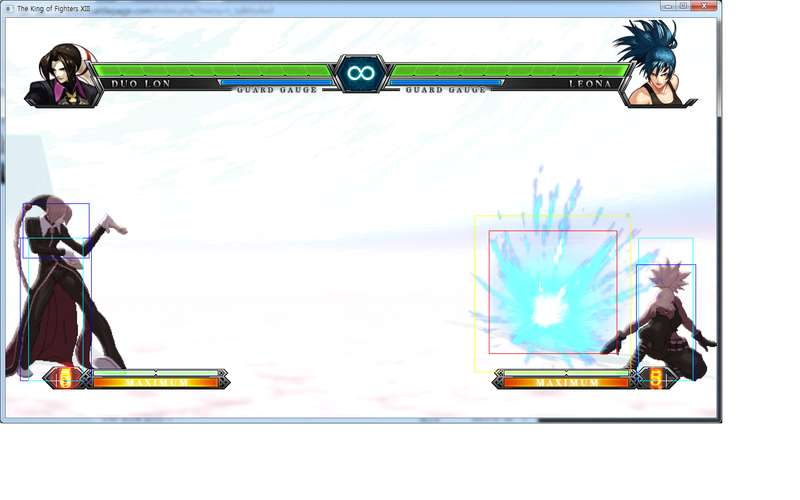 In the corner, both will combo, but the C version allows them to be further juggled or reset. st. A: 25 damage, chain/cancellable, whiff cancellable hits high. A standing straight-forward chop, good speed and recovery. st. B: 30 damage, cancellable, hits low. A kick to the shin, quick and deceptively low (for a standing normal) with decent forward range. st. C: 80 damage, hits high. A forward to downward swipe, fast and great range. Great as a long range poke and after blockstrings to keep you in close range. Moves Leona forward. st. D: 70 damage, hits high. A high-angled spin kick to the head, very slow start up and recovery. Not recommended as a general anti-air. cl. C: 40+38 damage, cancellable, hits high. A mid to upward swipe, decent as a close-range hitconfirm. cl. D: 40x38 damage, cancellable, hits high. Two standing knee strikes to the body, fast startup and long duration. One of Leona's best normals. cr. A: 25 damage, chain/cancellable, hits high. A crouching straight-forward chop, good speed and recovery. A staple in hitconfirming combos. cr. B: 30 damage, chainable, hits low. A kick aimed at the feet, great range and speed. Leona's best ground poke/combo starter. At close range, can combo into st.B. cr. C: 70 damage, cancellable, hits high. A vertical elbow strike, decent startup. Works well as an anti-air against close neutral jumps and corner jump-ins. 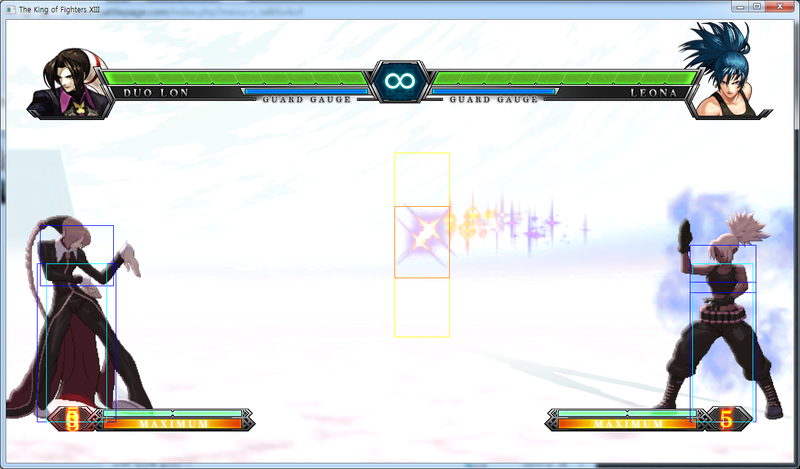 May not work as well midscreen due to its poor horizontal hitbox. cr. D: 80 damage, hits low. A full-body lunging sweep, great range but slow recovery. 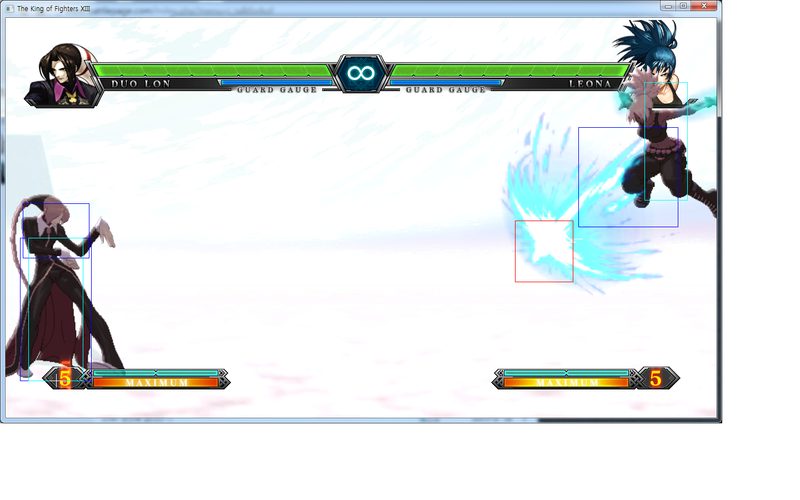 Can go under high standing normals and high projectiles (ex. Robert's Ryugekiken). j. A: 45(40) damage, cancellable, hits mid. An aerial downward claw strike, quick startup. Can be used as an instant overhead into X-Calibur/V-Slasher. j. B: 45(40) damage, cancellable, hits mid. An extended upwards kick, great range. Leona's best air-to-air poke. Will whiff on crouching characters due to its up-forward hitbox (untested on crouching Raiden). j. C: 72(70) damage, hits mid. A two-handed cross slash, massive hitbox. Leona's best jump-in for ambiguous crossups. j. D: 70(68) damage, cancellable, hits mid. A jumping dropkick, good range and startup. Leona's most versatile jumping normal which can be used for air-to-air, air-to-ground, or V-Slasher hitconfirming. nj. D: 70(68) damage, cancellable, hits mid. A back-turned downwards kick, poor recovery. Like j.A, it can be used as an instant overhead into V-Slasher or X-Calibur. It can only be activated while jumping, not a hopping. CD: 75 damage, (whiff) cancellable, hits high. A straight one-handed stab, quick startup. Decent for midscreen pressure or to put an oppponent into the corner. On counter, it can be followed up with Grand Sabre. j. CD: 90(80) damage, hits high. A jumpkick imbued with energy, very slow startup. Causes a large amount of blockstun. Counterhit causes a free juggle state. GCCD: 10 damage, hits high. A mid to upward swipe. Same animation as her close st.C except only 1 hit. Leona Crush = (b/f+C/D): 100 damage, can be broken with C or D. A deep chest gouge followed by a quick reverse pull. Long throw animation good for milking the clock or letting the opponent's HD meter drain. "Apple Juice." Strike Arch = f+B: Standalone: 70 damage, hits mid. Cancelled into: 50 damage, cancellable and hits high. A high-arcing forward overhead kick. If done as a standalone move, Strike Arch has overhead and knockdown properties. If cancelled from a normal attack, Strike Arch loses both overhead and knockdown properties and can be blocked low, but it becomes cancellable. It can be comboed into X-Calibur or V-Slasher. Moon Slasher = (d~u+P) - A circular energy slash performed with the hands. 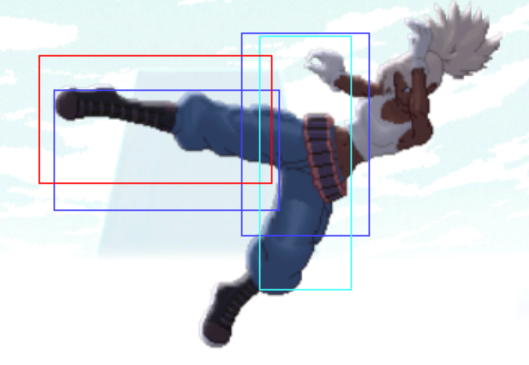 Great anti-air but vulnerable on the first few frames of startup. C version has slightly more range. Damage dependent on distance of opponent. (EX) = d~u+AC - Has similar properties to the C version. During its active frames, the EX version has invulnerability to non-DM/non-projectile attacks. Decreased startup and recovery. Baltic Launcher = (b~f+P) - A ball of energy imbued with slashing force, slow startup. Can negate non-DM projectiles. (EX) = b~f+AC - Has similar properties to the C version. Decreased startup and recovery. Earring Bakuden = (qcb+K) - An explosive earring thrown at a downwards arc, slow startup speed. B version will bounce at half-screen distance, D version will at full-screen, then dissipate after second bounce. Explodes on contact. (EX) = qcb+BD - Has similar properties to the D version. Decreased startup and recovery. Grand Sabre = (b~f+K) - A one-handed forward slash of energy. D version goes further than B version. (EX) = b~f+BD - Has similar properties to the D version. Two hits. Decreased startup and recovery. X-Calibur = (qcb+P) in air - A downwards X-shaped energy slash. A version creates a short-range projectile and causes Leona to jump backwards. C version causes a down-forward dashing strike. (EX) = qcb+AC in air - Has properties similar to the A version. Multi-hitting, slow moving projectile. V-Slasher = qcf hcb+P - A diving, explosive energy slash in the shape of a V. Definitively the best air super in the game. Has full invulnerability during its active frames. A version travels at a steep angle, while C version travels farther. (EX) = qcf hcb+AC in air - Automatically homes in on the opponent. Slash Saber = qcb hcf+K - A series of Grand Sabres followed by an explosion. Its only real utility is to be comboed off of standing normals. Vulnerable to projectiles . Leona Blade = (qcb hcf+AC) - Orochi transformation to channel energy into a massive explosive stab. If the opponent is out of range, Leona performs a swipe instead of the stab. After superflash, Leona Blade has a 1-frame startup. An alternative combo to the above starting from a two-hit standing C or D. Best used as a punish, as f+B is slightly unsafe on block. Staple combos for Leona starting from two low normals, allowing the player enough time to hit-confirm into the remainder of the combo. If the first low normal is started far from the opponent, the following cr.B can be omitted for 149/154 damage. Leona's cr.B can link into cr.C, granting her a little extra damage. As before, be sure to hit-confirm the cr.B and cr.C before inputting the f+B. nj.D, air qcb+A = 127 dmg - After connecting with an instant overhead j.A or nj.D, Leona can combo an air A X-Calibur. nj.D has near-instant startup, so these help add to her mixup game if the opponent is getting too comfortable blocking low. To Drive Cancel Leona's Moon Slasher into Grand Sabre, you can input charge down/back, up/back+P, forward+K. To do Leona's short hop V-Slasher input qcf,uf,hcb + A/C. 1.) st. A > cl. C - 2 frame gap between st. A and st. B. St. A whiffs on crouching opponents. 2.) st. A > cr. C (L) - 1 frame gap between st. A and cr. C. St. A whiffs on crouching opponents, except on Daimon, Raiden, and Maxima. 3.) st. A > cl. D - 3 frame gap between st. A and cl. D. St. A whiffs on crouching opponents, except on Daimon, Raiden, and Maxima. 4.) cr. A > cr. C - 3 frame gap between cr. A and cr. C. 6.) st. B > cr. C - 4 frame gap between st. B and cr. B. 7.) cr. B > cr. C (L) - 2 frame gap between st. B and cr. C. 8.) b~f+BD > cr. C - 1 frame gap between b~f+BD and cr. C.
At further ranges, Leona can use her Ear Ring to set up an offense and possibly zone around. Upon throwing the Ear Ring, the Leona player can either chose to close the gap between themselves and the opponent or stay at the range until they can get another form of offense started. When Leona has meter available, be prepared to use her V-Slasher. This is another useful method of controlling the air and what the opponent does next. She can do this nigh instanteously if the player is quick with the input. Leona can also go for this if the opponent tries to super jump over her ear ring projectile (V-Slasher can also catch badly timed rolls as well). Leona can draw herself forward as long as the player showcases some discretion. Back~charge~Forward+D is zero frames on block but its start is a bit noticeable. Leona can advert a lot of projectile usage with her Baltic Launcher, well timed movement, ear ring (especially the EX version), etc. Have Baltic Launcher prepared if the opponent likes to hop/hyper hop/super jump a lot. Leona also has extremely good air normals and a very good air DM to counteract such movement in mid air. Refrain from using ear rings at this range because this is the distance where the opponent can actually punish Leona for doing so. Focus on the neutral game a bit more. Be sure to always threaten the opponent with her V-Slasher should they start whiffing too many obvious/laggy moves at the mid range or if they start jumping too much. Forward hopping normals in general are decent for closing the gap between yourself and the opponent. Leona's far stand C can draw herself gradually towards the opponent as well. Leona's far stand C is very good for closing the gap and even confirming into HD. Leona has arguably the fastest instant overhead in the game, which stems from hop jumping A. Go for the cr.Bx2 to either visually confirm into a full combo or perform a hop jumping A. Jumping A is also cancellable into her V-Slasher but this is going to require some discretion. Standing B hits low. Remember this. Be sure to utilize tick throws/running throws with some discretion (beware of alternate guard). Leona can combo easily after her EX Grand Saber and it will combo from her normals as well once you confirm into them. Leona's damage output become similar to Shen Woo's, IF she has meter available. Until she gains at least a bar you can conserve it for a later time, or go for a combo for decent damage... or utilize it for a different cause such as zoning around with EX qcb+K ear ring. EX qcb+K ear ring sets a juggle state too. Against a cornered opponent, a good meterless combo to utilize is close st.D (both hits), f+B, air qcb+C and then d~charge~u+P. That's adds up to 222 damage from a relatively easy BnB combo. Try to lock the opponent down and prevent them from jumping with Baltic Launcher (either version). Try to space yourself in such a way where you can punish rolls and super jump attempts against a cornered opponent. Leona has plenty of good mix ups to offer from up close, especially in this situation and beyond the games fundamentals. Be sure to go for the occasional tick throw/running throw periodically. Be sure to end your block strings with light normals, because Leona is still going to be the one with the advantage anyway. Remember the b~charge~f+D is zero frames on block. This can lead to potential frame traps and set ups. Far stand C is a very good tool for keeping the opponent honest because of it's relatively faster start up and the fact that it draws Leona closer to the opponent. Be sure to go for instant overhead jumping A when applicable against the crouching opponents who are otherwise trying to defend against Leona's lows. Air EX qcb+P couple with Leona's other moves can be obnoxious when the opponent is on the defensive. You can use this for a number of set ups for further offense. Leona DOES have reversals but... again, all of them are rather risky to perform. Pay attention to what the opponent is doing up close so that you can get out of the corner safely. Don't ever forget about GC Roll. Ever. Leona a wide series of anti-airs which stem from her st.A, far D, crouching C, some hop normals, preemptive use of Baltic Launcher, and Moon Slasher. Leona can actually use her V-Slasher (Preferably the EX version) FROM HER BACK DASH. One thing to notice about Leona's regular neutral jump D is that it has a different animation... Leona's regular neutral jump D comes out very quickly and will knock opponents away who are trying to mix up from the air. Standing A is good for stopping hops after the opponent ends their block strings. Position One: Leona can be relatively versatile as she has the ability to zone around, rush down heavily, play passive-aggressively/defensively, and anti-air the opponents accordingly. However, the general consensus of Leona's special moves is that they are rather high risk/high reward. 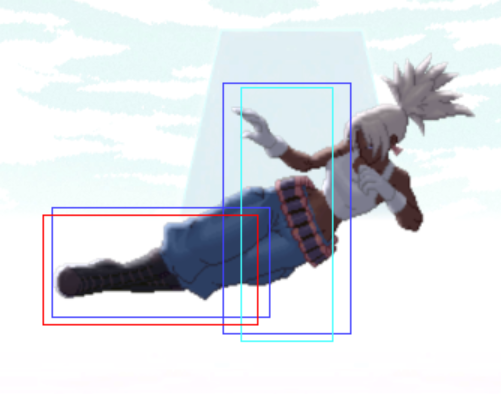 In this position, the player needs to focus on having very good air control, making very good use of normals and being able to threaten the opponent from any range. In a way, Leona's qcb+K ear rings can act a lot like Mature's projectile. She can zone around and start an offense in this way if she is at the further range. It is best to focus on meter less combos sense Leona can easily get over 200+ damage per combo, even off a hit confirm from crouching B, should the opponent convert into the said combo. NOTE: cr.B x2, st.B, f+B, air qcb+C, d~charge~u+P provides 220 damage. Leona can kill an opponent with roughly five of these BnB combos as every character in the game has only 1001 health point calculated within their own health bar (it takes one more damage from 1000 to kill an opponent). Position Two: Leona can do well in this situation and this may arguably be her best position. Leona can get up to 700+ damage easily from an HD combo for 1 bar, thus making her extremely dangerous. The first character should make sure to provide Leona with at least a full drive and/or one or two bars so that Leona can capitalize later in the match. Always keep the number of play styles in mind because Leona will advocate many of them based on how her move set is constructed. Leona's EX qcb+K is pretty trustworthy at the mid and further ranges. Leona's EX moves in general are relatively useful as they either have very faster start up or they are good for setting the opponent up for failure. Third Team Position Leona also does well in this situation too because in this scenario, she'd probably have a lot of meter available anyway, assuming the opponent had already managed their meter in such a way where Leona can benefit later on in the match. Her role is more or less the same as it would be in the second position and Leona has a very decent comeback factor. Take note of the subjects mentioned in the second position. 100 0 1 - Apple Juice! This page was last edited on 15 December 2014, at 20:03.